I read this article and found it very interesting, thought it might be something for you. 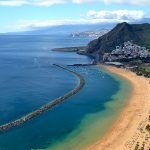 The article is called 10 Things To Do in Santa Cruz de Tenerife: Spain and is located at http://trip-n-travel.com/listicle/17935/. 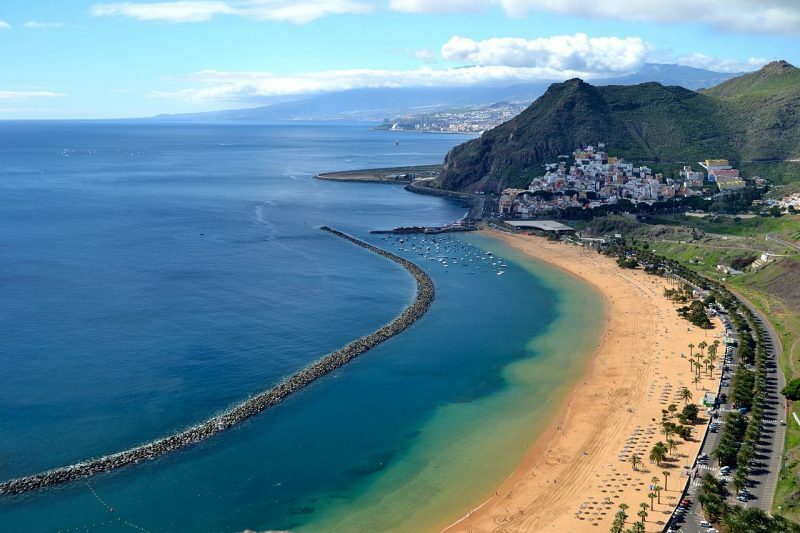 Don’t miss the bustling capital, the beautiful port of Santa Cruz, the largest of the western islands in the Canaries. This is authentically Spanish filled with colorful buildings, cobbled alleyways, sophisticated shops, outstanding museums and exotic landscapes. The island capital takes a magnificent form every year to welcome the Carnival, the most spectacular celebration in Spain. The privileged setting completed with serene beaches make this a perfect beach destination in the archipelago. 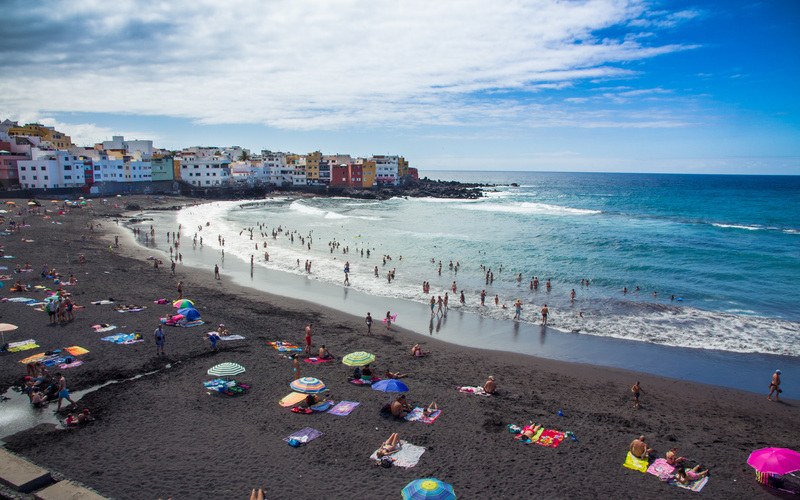 On the pretty outskirts of the city below the quaint fishing village of San Andres, is the Playa de Las Teresitas, one of the most spectacular beaches in Tenerife, which stretches for almost a mile with golden sands. 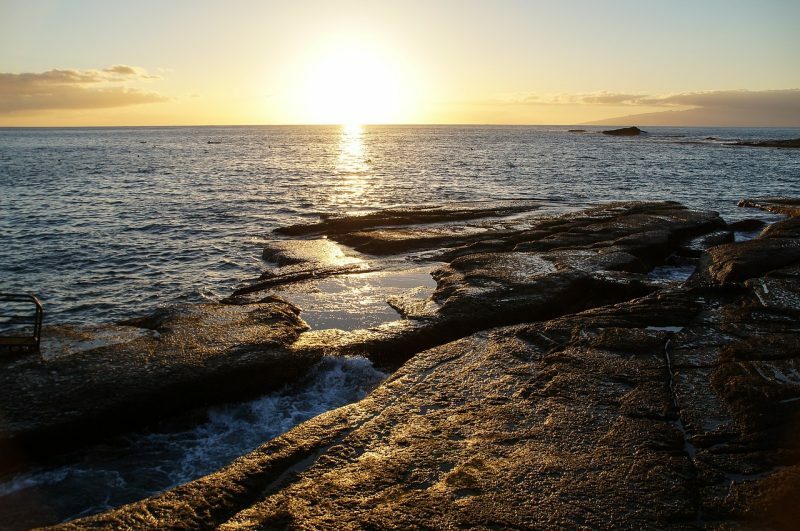 A wonderful reef protects the beach from high rollers, creating an ideal hotspot for swimming and snorkeling. You could spend the whole day at the beach walking or enjoying the delicious seafood alongside, and you still won’t feel crowded. 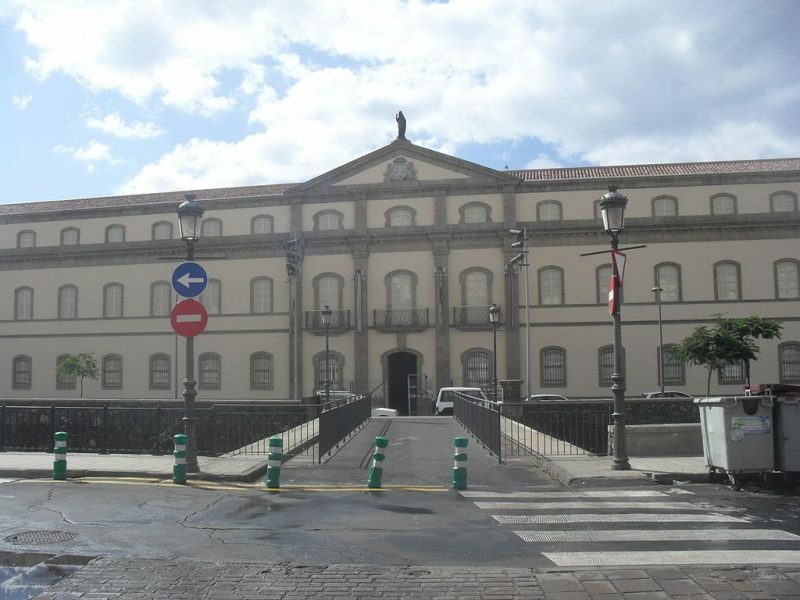 The Museum of Man and Nature, based in Santa Cruz de Tenerife, is an excellent museum well laid-out in an old emblematic building and holds many significant archaeological finds from the prehispanic Canary Islands. This outstanding establishment is a fine blend of natural science and archaeology. This is one of the most visited attractions in the city, with the main highlights being the Guanche skulls and mummies. Don’t miss the striking bell tower of the oldest church in the city which shares traditional Islamic-style architecture. 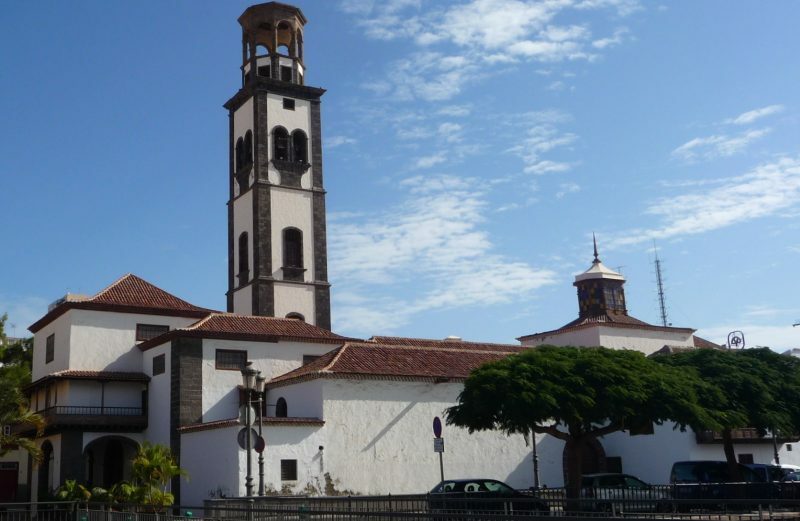 The Iglesia de la Concepción is a beautiful catholic church in the city of Santa Cruz de Tenerife, the origin of which dates back to 1516, and the restoration work on the current building began in 1768 and completed in late 1788. The most striking feature of the church is undoubtedly the bell tower which stands tall at approximately 24 meters. 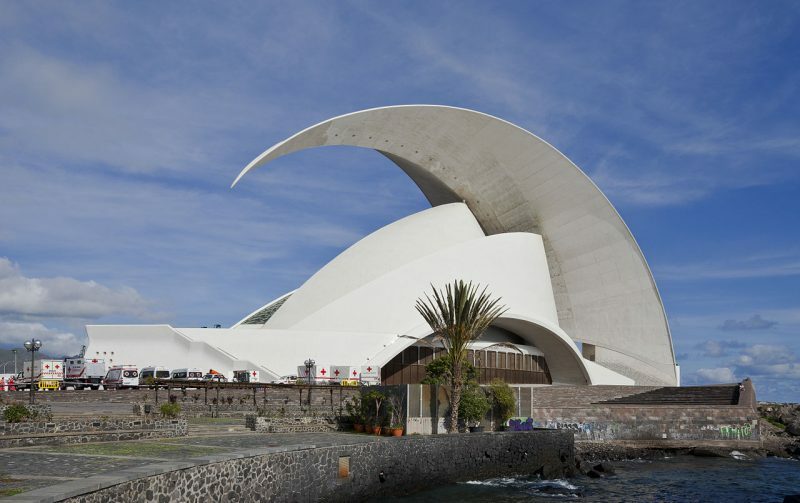 This dramatic building designed by the renowned architect Santiago Calatrava Valls is an architectural symbol of the city of Santa Cruz de Tenerife and also considered as one of the finest modern structures in the Canary Islands. 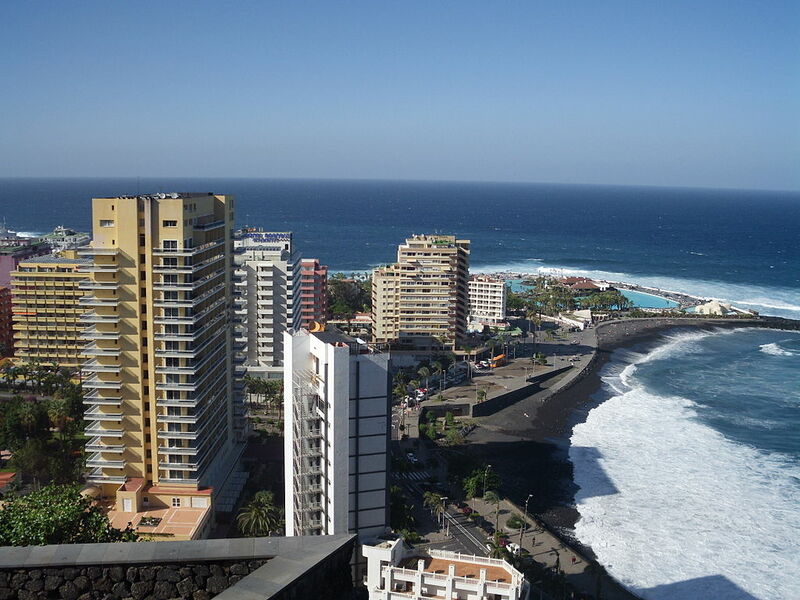 It is home to the Tenerife Symphony Orchestra. Enjoy the guided multilingual tours or have a drink in the café at the main entrance of the building. 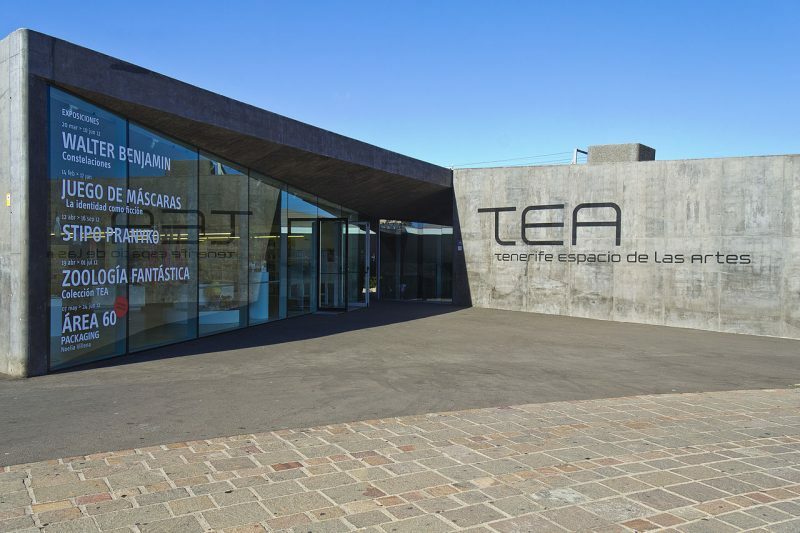 This spectacularly modern building holds a permanent exhibition dedicated to the life and works of the Tenerife-born surrealist artist Oscar Dominguez, which includes both his paintings and the audio-visual exhibits pertaining to his works. Temporary exhibitions focus on the leading Spanish artists based on unusual contemporary themes. 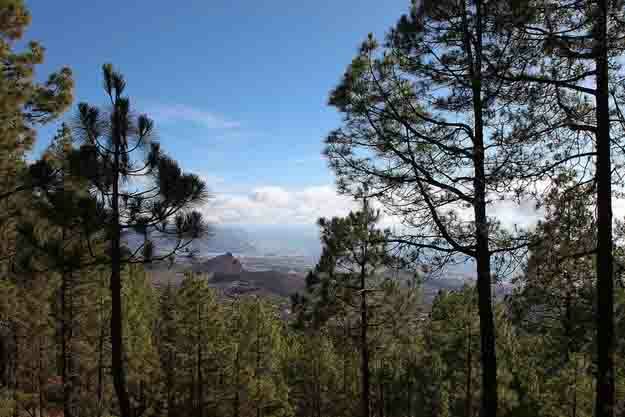 This 12-hectare botanical garden in the city of Santa Cruz de Tenerife specializes in palm trees; in fact, it has one of the most diverse collections of palm trees in Europe. It’s a peaceful place for plant lovers, filled with an abundance of plant life and is believed to be the world’s largest botanical collection of tropical island palms. 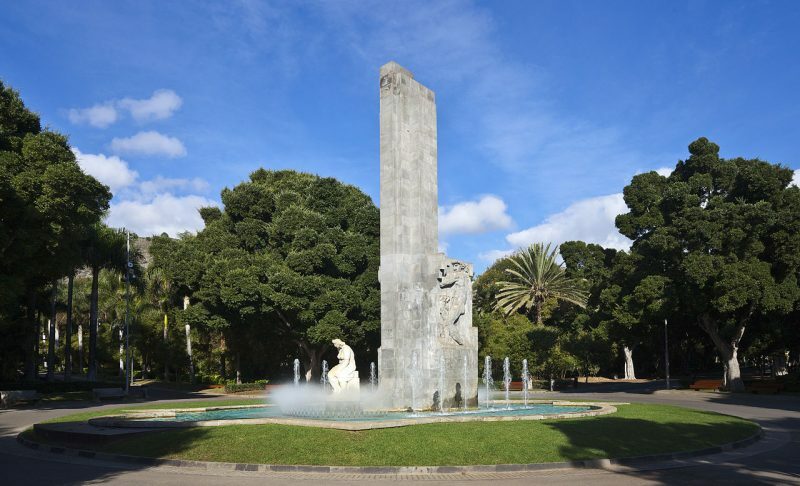 Parque García Sanabria is a large urban park in the heart of Santa Cruz de Tenerife adorned is a charming spectacle of Mediterranean and sub-tropical trees and flowers adorned with magnificent sculptures and several water features. 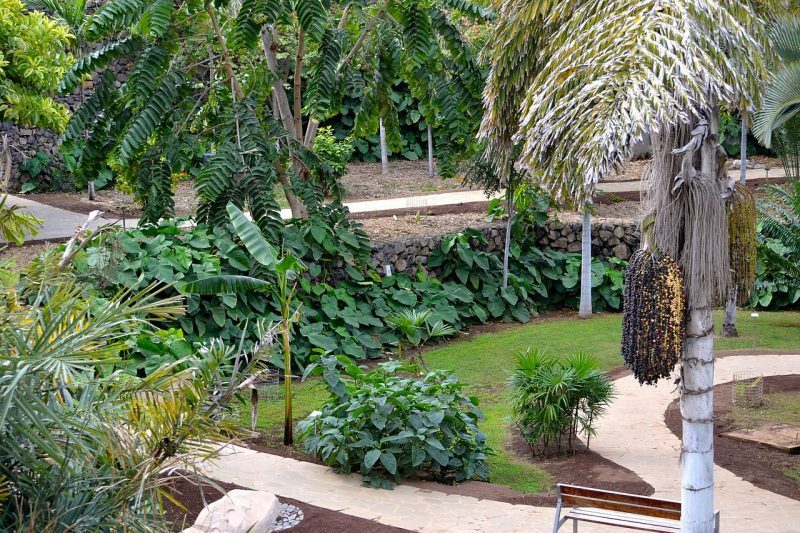 This is undoubtedly one of the most delightful parks in Tenerife and an ideal spot to enjoy a family picnic under the shade of an Indian banyan tree. 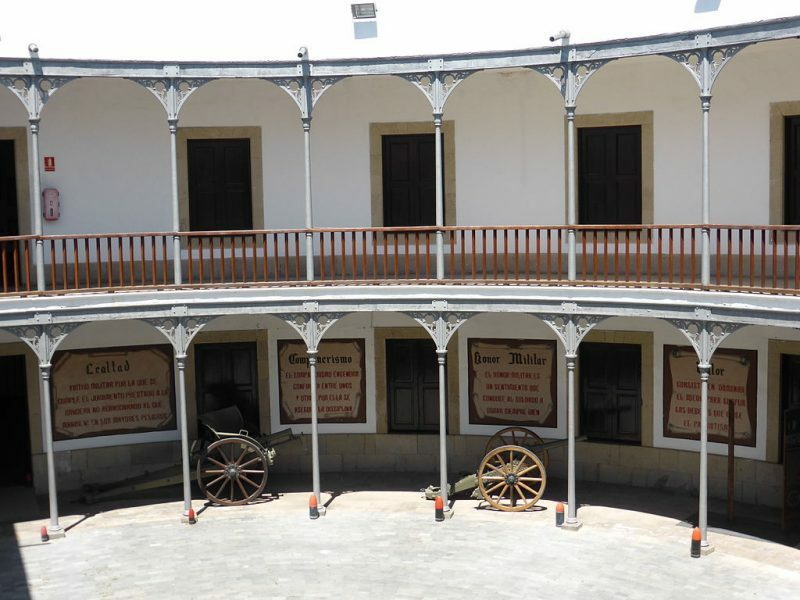 A fascinating little place for the fans of the military, the Museo Histórico Militar de Canarias explains the military history of the islands and honors the memory of those who served. Established in 1854 as a military fort to guard the shoreline of Santa Cruz against the attacks from the sea, the ancient fortification is now a military museum where you’ll see several military weapons and vehicles including two decommissioned helicopters. It is the oldest theater in the Canary Islands built in 1849 in classical romance style, and at present, it’s one of the architectural highlights of the city of Santa Cruz de Tenerife. 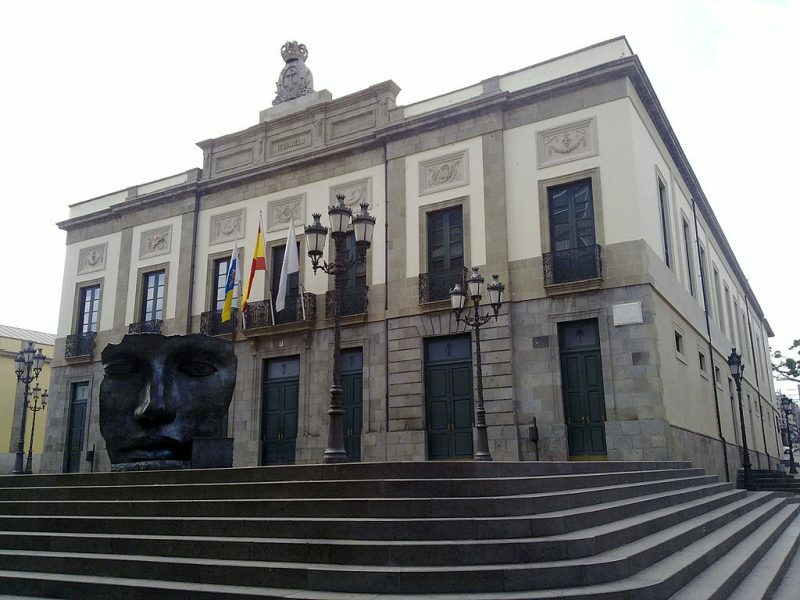 The 19th-century Teatro Guimera is protected by a giant mask sculpture at the front, and the lavish interior is reminiscent of the Teatro Real in Madrid. 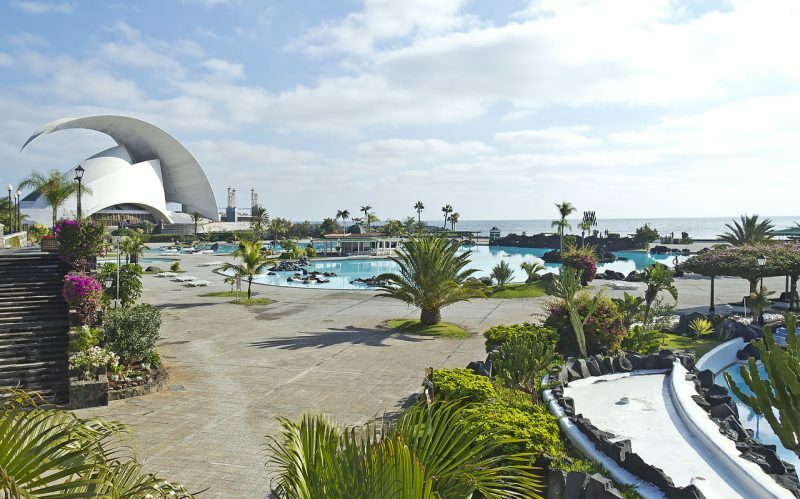 An impressive entertainment complex and leisure center designed by the renowned architect Cesar Manrique located in the city of Santa Cruz de Tenerife. Sunbathing terraces amidst beautiful palm trees and sub-tropical flora, superb fountains and swimming pools, restaurants and cafes offer a splendid oasis in the very heart of Santa Cruz.